We at Saral Gyan operates as an independent equity research team with objective to guide and facilitate our members to create wealth in long term by investing in fundamentally strong small and mid cap companies at attractive valuations. We launched our services - Hidden Gems, Value Picks, 15% @ 90 Days and Wealth-Builder during last 6 years and cherish readership of more than 35,000 members today. 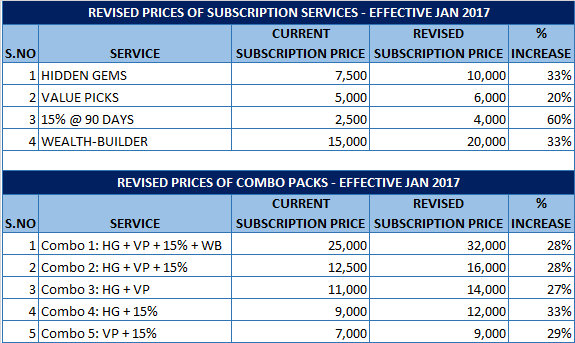 We would like to inform you that prices of our annual subscription service will increase on 31st January 2017. 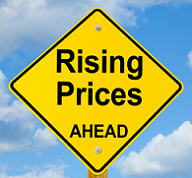 The increase in subscription prices of our services is decided after evaluating important business aspects and value addition to our existing services during this year. Moreover, there was no revision in our subscription prices since 2012, we offered our services at similar prices during last 4 years.